La cantante Gréta Salomé Stefánsdóttir nació el 11 de Noviembre de 1986 en la localidad de Mosfellsbær donde reside actualmente. Es una cantante y violinista islandesa. En Noviembre de 2012, Gréta lanza su primer álbum titulado "The Silence" donde podemos encontrar el tema que interpretó en Eurovisión en su versión inglesa Never forget y en su versión islandesa "Mundu eftir mér". Gréta Salomé representó a Islandia en Eurovisión 2012 con el cantante islandés Jónsi. En Febrero de 2016 ganó el Söngkappenin islandés convirtiéndose en la representante de Islandia en Eurovisión 2016. The singer Gréta Salomé Stefánsdóttir was born in November 11th of 1986 in the locality of Mosfellsbær where currently she is living. 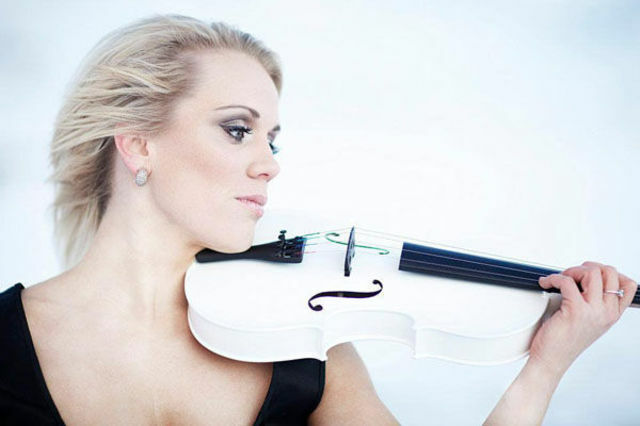 She is a Icelandic singer and violinist. She studied violin in the Art Academy of Iceland and she graduated in 2008. Currently she is working as violinist in the "Sinfóníuhljómsveit Íslands" (Sinfonic Orchestra of Iceland). In November of 2012 Gréta launched her first album called "The Silence" where we can find the song that she competed in Eurovision with in the English version Never forget and the Icelandic version "Mundu eftir mér". Gréta Salomé represented Iceland in Eurovision 2012 with the Icelandic singer Jónsi. In February of 2016 she won the Icelandic Söngkappenin becaming the representative of Iceland in Eurovision 2016.